Tilstock C of E Primary School and Nursery, based near Whitchurch, have been utilising the latest technology to make friends with fellow children around the world. 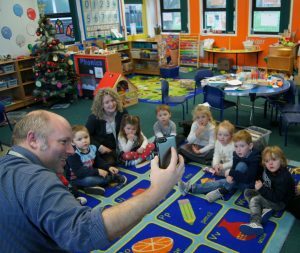 Darwin Class, who are the nursery and reception class at Tilstock, were privileged to speak via FaceTime to children from Warren H Wolf Elementary School who are based in New Jersey, USA. The children took it in turns to say hello to their new friends and introduced themselves. The call was beneficial to the pupils as it showed how the world can be so easily linked with technology. They were also shown a globe, to see where their new friends are located in America. 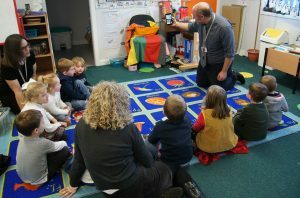 Mr. James Spicer, Head of School at Tilstock C. of E. Primary School and Nursery, commented: “We had a lovely time utilising technology to give the children the opportunity to speak to other children around the world. We now look forward to staying in contact and sharing our learnings with our new friends in New Jersey”.